This is a rectangular Sun Insurance Office porcelain sign. This particular Sun Insurance Office sign is orange and white with black and blue text. 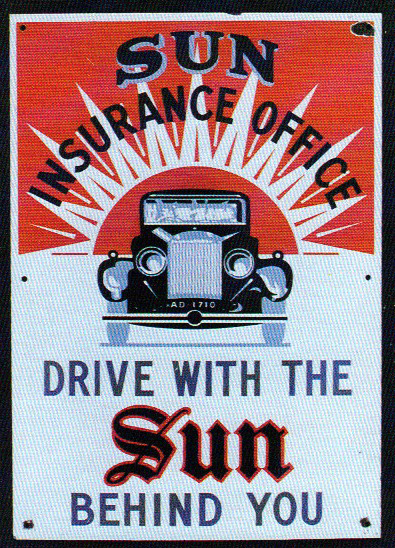 It reads, “Sun Insurance Office, Drive With The Sun Behind You” and features a black car in front of an orange setting sun in the center of the sign.